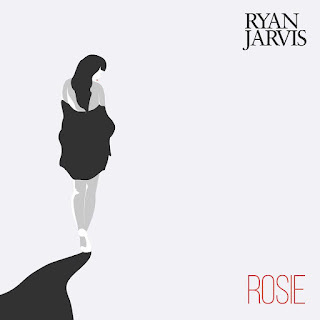 Ryan Jarvis's new EP Rosie is his first new material in over a year and whilst it contains much of the battered, bruised romanticism of living in a northern town, it also represents a step up in terms of the title track and the release of two established live favourites. One of the most endearing and enduring qualities of Ryan's work has been his ability to craft carefully observed stories of those around him and deliver them with a sensitivity and warmth allied to tunes that attach themselves to your subconscious and have you finding yourself humming the riff to yourself in quiet moments. Rosie is no exception to this rule, declaring simply "Rosie, you know I adore you, Rosie, you always change your mind" in the chorus as he tells the story of a Fallowfield front bedroom, journeys on the 43 bus and walks at sunlight. It's somehow both specific and unspecific at the same time, substitute the name and the places and you could be talking about anyone anywhere. And where once it was just Ryan with an acoustic guitar, he's got a band behind now that capture the emotional content of the song and enhance its impact. Shy Away and Shine For Me are actually re-recordings of tracks from his debut solo EP released in 2013, but such has been the development in Ryan's voice and the impact of the band on the acoustic strumming of that EP, they might as well be different songs. Shy Away sees Ryan's voice dip under the music in the verses which makes the impact of the chorus stronger, but what's most evident is the confidence running through the track, a million miles away from the teenage bedsit tale that the song started out life as. Shine For Me was the highlight of that debut EP and once again takes the accolade here. It talks of running away together to a better place to escape the troubles and worries of the world, a positivity coursing through it that's in stark contrast to the streets of the town where Ryan and those he's talking to here have grown up on - "we can move away tomorrow, to a different town, we carry no sorrow" in a me and you versus the world situation - "the sun shines for you and me angel." Musically, it shows a more experimental side to Ryan, moving away from his oft-quoted and covered in his live shows and forging an identity of his own that's crucial in our view to his development as a songwriter. Rosie has been a long time coming, plagued as with so many young artists by the crippling costs of recording properly whilst doing day jobs to just to pay the bills. That sense of struggle runs through the three songs, punctuated though by a sense of everything will be alright if you love those closest to you and take them with you on the ride. Ryan Jarvis is on Facebook and Twitter.